This is an interesting way to make use of all your left over beads. 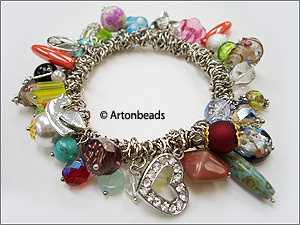 Gather together a batch of colorful beads, and use headpins to attach these goodies to a stretchy bungee bracelet. You can transform a bunch of left over beads from previous projects into something that is truly unique!